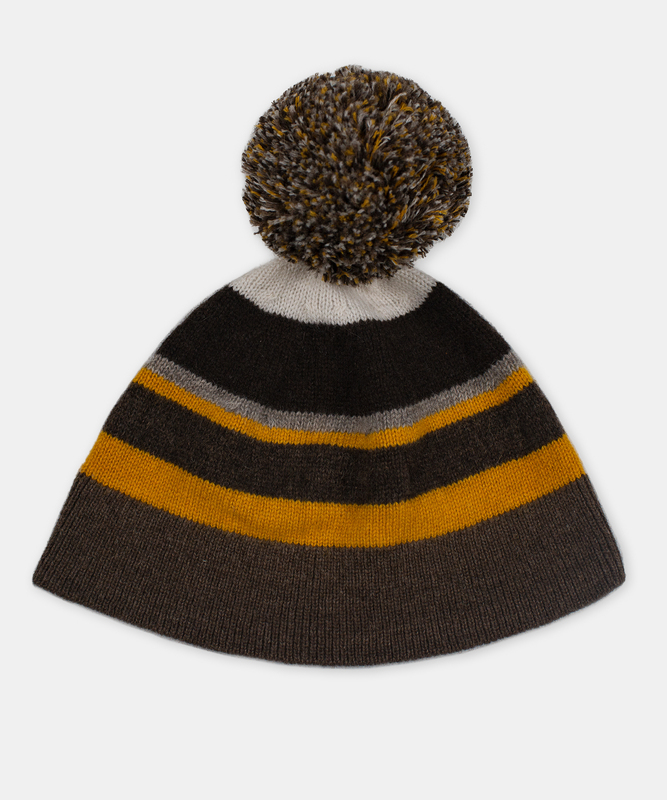 A luxurious take on the classic winter beanie with contrasting stripes. One size. Please inquire for availability and lead time.